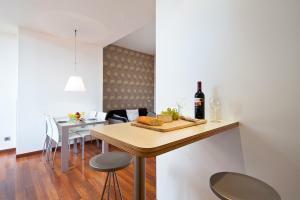 Situated next to Ciutadella Park, Inside Barcelona Apartments Mercat are close to the Picasso Museum, in Barcelona’s fashionable El Born district. 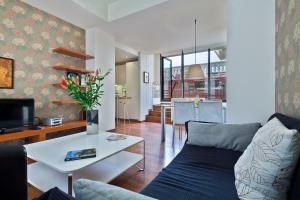 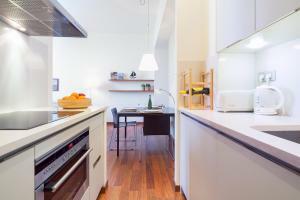 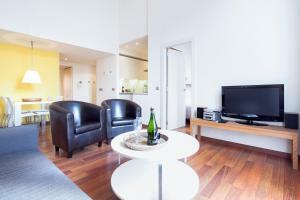 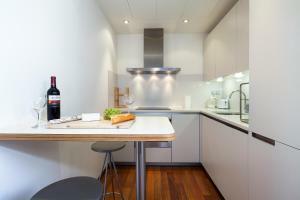 These modern air-conditioned apartments feature free Wi-Fi and satellite TV. 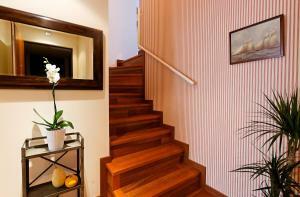 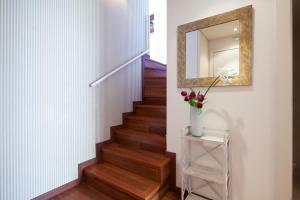 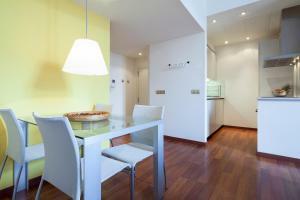 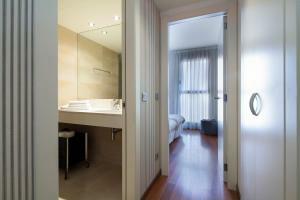 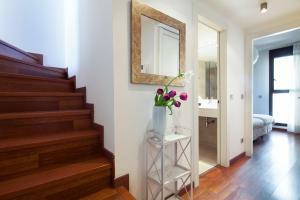 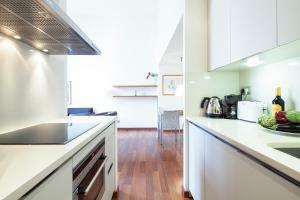 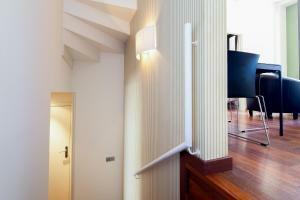 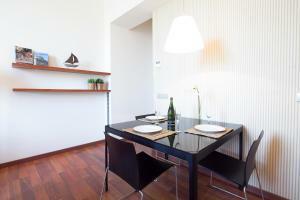 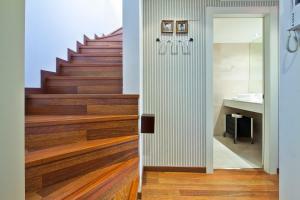 Each Inside Barcelona Apartments Mercat apartment has wooden flooring and elegant, functional design. 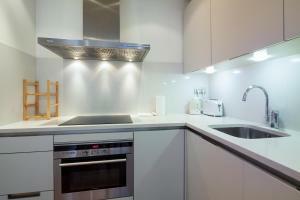 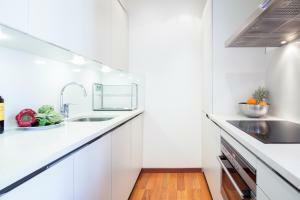 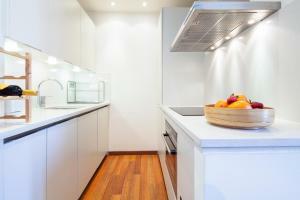 They all include a kitchen with an oven, dishwasher and washer-dryer. 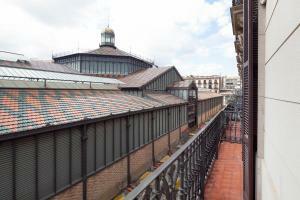 The streets around the Apartments Mercat are full of shops and bars, while the popular seafood restaurants of Barceloneta are just a 10-minute walk away. 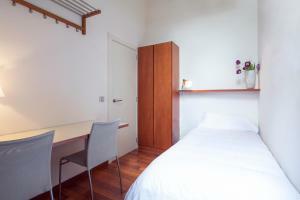 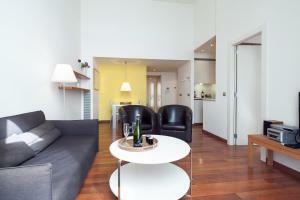 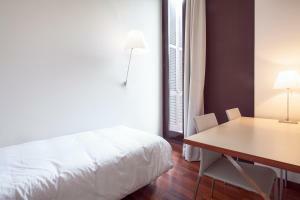 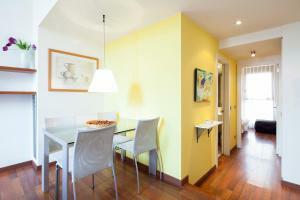 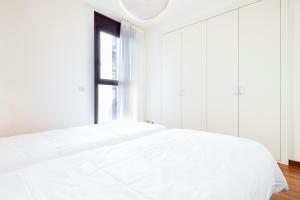 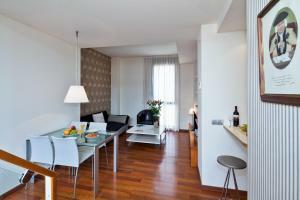 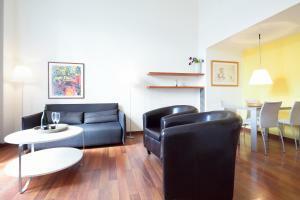 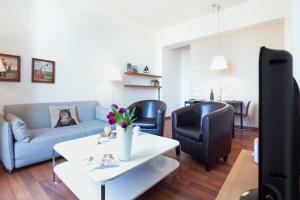 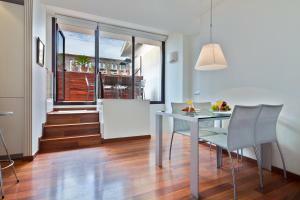 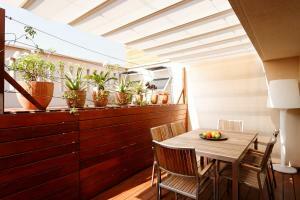 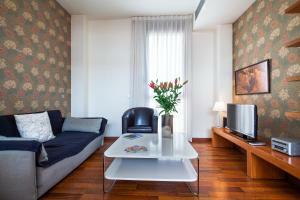 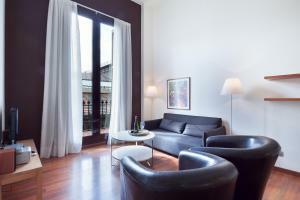 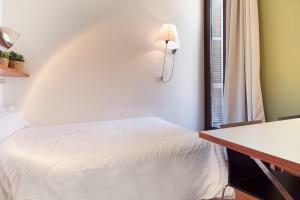 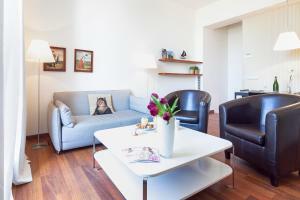 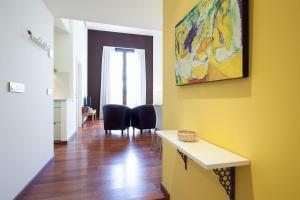 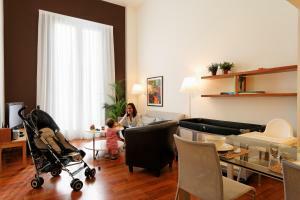 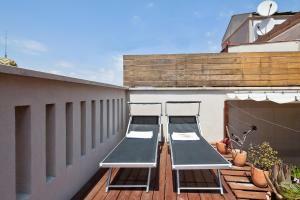 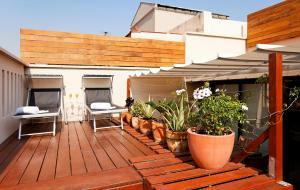 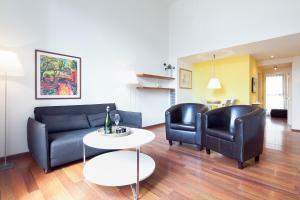 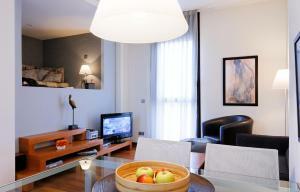 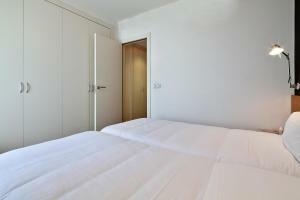 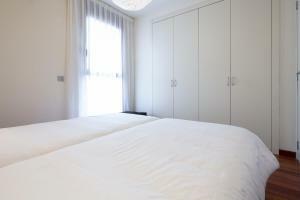 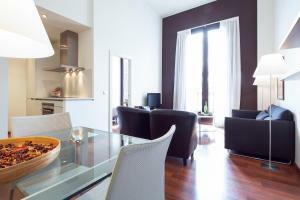 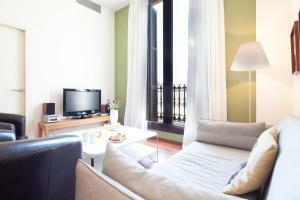 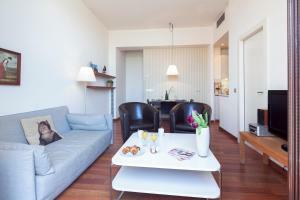 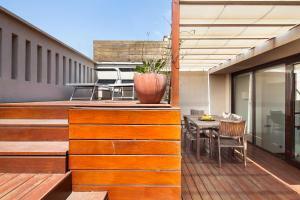 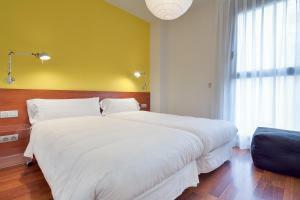 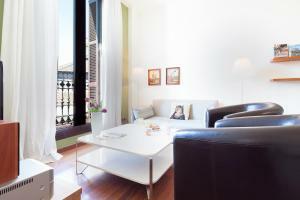 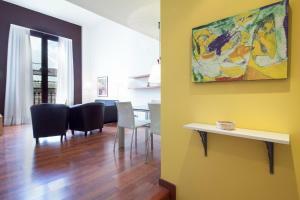 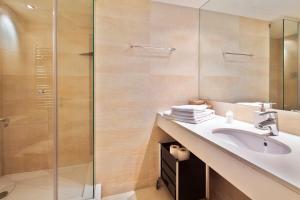 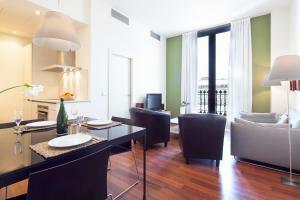 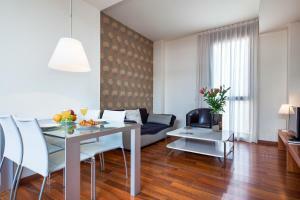 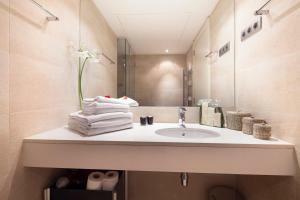 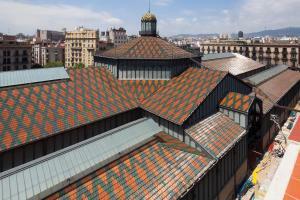 Inside Barcelona Apartments Mercat are a 15-minute walk from Las Ramblas and a 20-minute stroll from the city’s beaches. 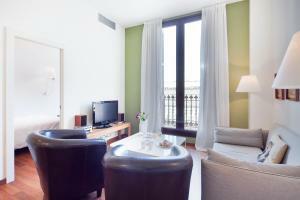 Barceloneta and Jaume I Metro Stations are both 650 metres away. 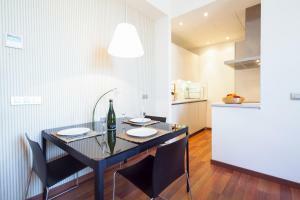 Guests should confirm their anticipated time of arrival at the apartments at least 3 days in advance. 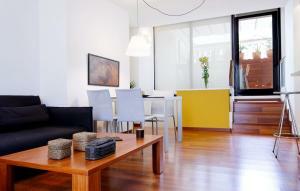 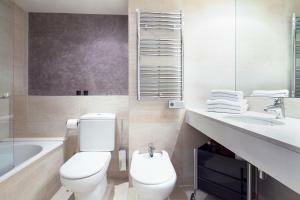 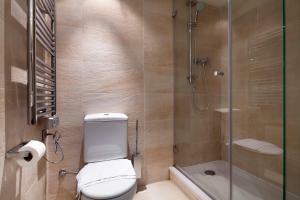 As soon as the property receives this information, guests will be sent check-in instructions. 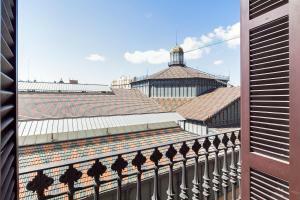 Please note that arrivals after 21:00 will be subject to a surcharge of € 25, and arrivals after 00.00 will be subject to a surcharge of € 40 to be paid upon arrival. 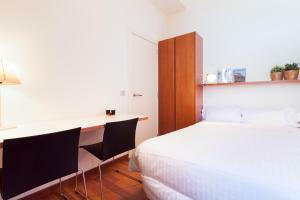 This modern apartment features a double and a single bedroom, a large bathroom including a hairdryer and a fully-equipped open-plan kitchen overlooking the living-dining area. 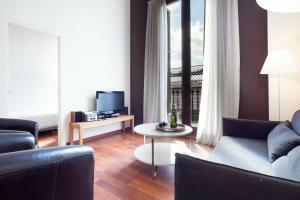 The apartment has large windows and there are several balconies. 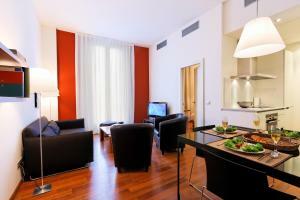 Rate: € 118.00 ... € 185.60; select dates below to get current rates. 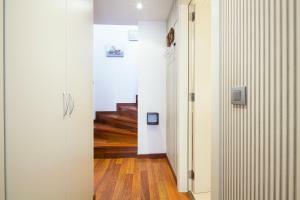 This bright and modern, 2-level apartment has a twin bedroom and bathroom with hairdryer on the first level, and another, single bedroom on the second level. 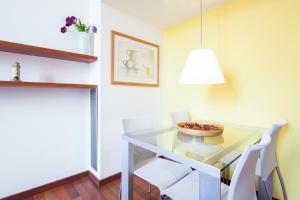 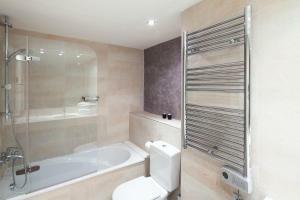 There is also a living-dining room and a fully equipped kitchen on the second level. 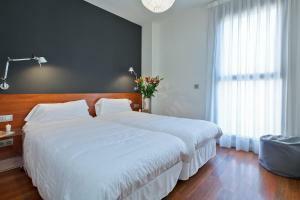 Rate: € 116.00 ... € 154.00; select dates below to get current rates. 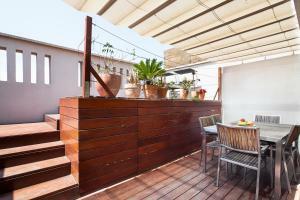 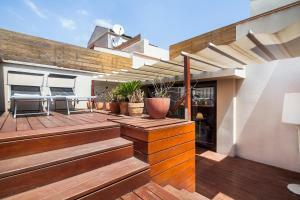 Featuring a private terrace with views of Barcelona, this bright and modern, 2-level apartment has a twin bedroom and bathroom with hairdryer on the first level, a living-dining room and a well equipped kitchen on the second level. 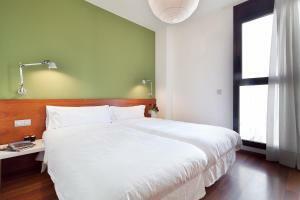 Rate: € 139.00 ... € 154.00; select dates below to get current rates.